After a morning ski, packing, and a group photo to remember your new found friends, the snow-van departs the Canyon Skiers Camp in the early afternoon. Arrival to West Yellowstone is usually in the late afternoon, but we recommend making bus and airline reservations for the next day or later. It is also possible to spend another day or more on your own in the town of West Yellowstone. 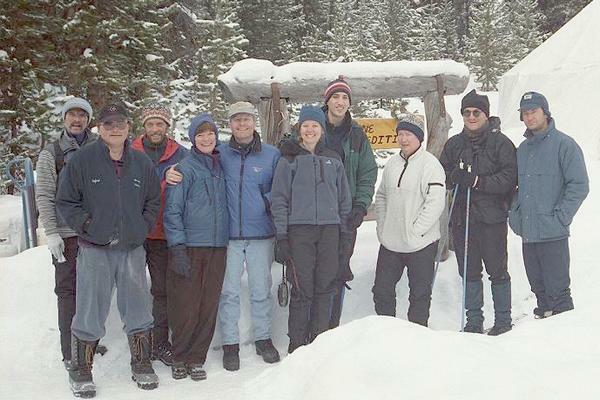 The day can be spent skiing the local trails, such as the Rendezvous Ski Trail or the Riverside Ski Trail, or taking a sightseeing/ ski trip to Old Faithful. Please ask about this option.